Save money and get resources to help you achieve your goals and build a successful life. Enjoy these exclusive deals. 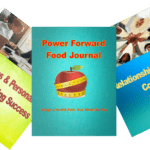 Brand new “Power Forward Courses”. Get the information that will put you on the success track and keep you there. Find out more, click now. Get the tools you need that will inspire and help you to achieve your goals. Also, get the information that will expand your mind or help you build a successful career. Many of these are products mentioned on the podcast, “Designing Your Life Today“. Disclaimer: Before using any of these fitness products, be sure to check with your physician or doctor. Products that are recommended are used by Pat Council, the host of Designing Your Life Today. Full Disclosure: Some of the sponsors above pay a small commission to Designing Your Life Today. These funds help to keep our show on the air; however, we do not accept sponsors whose services we do not believe in or that we have not used. Use these sponsors only if you see the benefit to yourself, someone you know or your business.